The already robust library of Nintendo Switch games is about to get even more diverse. In a new Nindies Showcase video, Nintendo detailed 20 of the many indie games that are coming to the hit console. Some of these Nindies* include new games in the beloved Super Meat Boy and Shovel Knight franchises, as well as indie collaborations in games like Travis Strikes Again: No More Heroes from Suda51 and Grasshopper Manufacture. To celebrate all these upcoming indie games, Nintendo is bringing back the Nindies@Night event at this year’s PAX West in Seattle. The free event takes place at Museum of Pop Culture on Aug. 31 from 8:30 p.m. to midnight PT. It’s a great chance for fans to check out some of the indie games coming to Nintendo platforms, including Wargroove, Super Meat Boy Forever, Shovel Knight: King of Cards, Kentucky Route Zero: TV Edition, SteamWorld Dig 2, Floor Kids, Nine Parchments, Earth Atlantis, Mulaka, Battle Chef Brigade, Dandara, Yono and the Celestial Elephants, Wulverblade, Dragon: Marked for Death, AWAY: Journey to the Unexpected, Huntdown, Sausage Sports Club, Light Fingers, andRunner3. Part of the event will also be livestreamed at https://www.twitch.tv/hyperrpg on Aug. 31 from 9 to 10 p.m. PT and include developer deep dives and sneak peeks of never-before-seen gameplay. Fans who visit the Washington State Convention Center during PAX West can also visit the Nindies Arcade on the third floor in room 3B and play a select group of the same upcoming indie games. The Nindies Arcade hours are noon-9 p.m. PT from Sept. 1 to Sept. 3, and noon-6 p.m. PT on Sept. 4. Super Meat Boy Forever from Team Meat: In this beefy sequel to the fan-favorite original game, players will once again leap off walls, dodge buzz saws and perform incredible feats of 2D platforming. In this game, though, levels get more challenging each time they’re beaten. With an updated control scheme, new ranking system and daily challenges, players are going to want to keep coming back for seconds. Super Meat Boy Forever launches for Nintendo Switch in 2018. Shovel Knight: King of Cards from Yacht Club Games: This final adventure in the Shovel Knight: Treasure Trove saga is fit for a king! Travel through four new worlds and 30 new courses to discover how King Knight ascended the throne and became one of the Order of No Quarter. Shovel Knight: King of Cards launches on Nintendo Switch in early 2018. 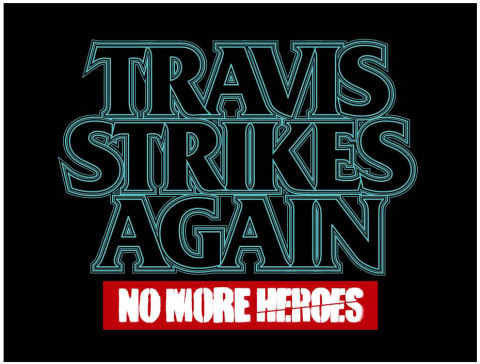 Travis Strikes Again: No More Heroes from Suda51 and Grasshopper Manufacture: Seven years have passed since the events of No More Heroes, and The Bad is determined to exact his revenge on Travis Touchdown. Just like the original cult classic, players will have to battle through multiple punk-rock levels and defeat over-the-top bosses. 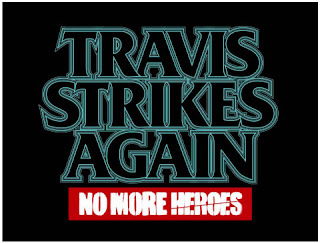 Travis Strikes Again: No More Heroes launches exclusively for Nintendo Switch in 2018. More details about the game will be revealed in the future. Kentucky Route Zero: TV Edition from Cardboard Computer and Annapurna Interactive: This haunting episodic tale is loved by many, and now it’s coming to Nintendo Switch. Kentucky Route Zero: TV Edition, which includes the debut of the long-awaited fifth and final act of the series, launches on Nintendo Switch in early 2018. SteamWorld Dig 2 from Image & Form Games: In the sequel to the award-winning original, you must dig deep, gain riches and explore an underworld riddled with danger. A new trailer for SteamWorld Dig 2 that debuted during the Nindies Showcase presentation revealed the game will launch for Nintendo Switch on Sept. 21. Dragon: Marked for Death from IntiCreates: Go it alone or team up with three other friends in this side-scrolling action-RPG. With 30 enormous quests and four classes to choose from, players will have hours and hours of action to fight through. Dragon: Marked for Death launches exclusively on Nintendo Switch this winter. Battle Chef Brigade from Trinket Games and Adult Swim: Orcs, elves and humans have one thing in common – a need to feed! Battle Chef Brigade is one part combo-based action game, one part match-three puzzler and an all-around feast for fans of 2D animation. Duel your way into the Brigade when the game launches first on Nintendo Switch this holiday season. Golf Story from Sidebar Games: Most role-playing games are about slaying dragons or retrieving mystical crystals, but what about an RPG that lets players equip golf clubs instead of swords? In this golf RPG (yes, it’s a thing! ), play through a dramatic story with a diverse cast of characters to meet, golf challenges to beat, upgrades to earn and equipment to collect. Golf Story launches exclusively on Nintendo Switch in September. Floor Kids from MERJ: This rhythm-based action game lets players bust out fresh moves, earn respect and recruit dancers through a variety of locations. Play the game’s single- or multiplayer modes with either traditional or touch-screen controls. Floor Kids launches first on Nintendo Switch this holiday season. Wulverblade from Fully Illustrated and Darkwind Media: Get nostalgic for the classic beat-’em-ups of the ’80s and ’90s with Wulverblade, a rich, hand-drawn 2D action game set in war-torn ancient Britain. The two-player co-op game launches first on Nintendo Switch in September. Poly Bridge from Dry Cactus: Flex your engineering muscles in this bridge-building simulator that proves it’s just as fun to fix things as it is to watch them fall to pieces. Hundreds of levels and hours of physics-based puzzles will gear players up to create their own incredible bridges and puzzle levels to show their friends. Poly Bridge launches as a console exclusive on Nintendo Switch this holiday season. Earth Atlantis from Pixel Perfex and Headup Games: As one of the last survivors of humanity, players must explore an underwater world and hunt down monstrous creature/machine hybrids in this side-scrolling shooter. Earth Atlantis launches first on Nintendo Switch this fall. Next Up Hero from Digital Continue and Aspyr Media: Everyone dies in this community-driven online action game. But once one person dies, an echo is left behind. The next hero can then revive them as an AI companion. Choose from nine heroes and wield various weapons when Next Up Hero launches on Nintendo Switch in early 2018. Mom Hid My Game from KEMCO: Players must push their imaginations to the limit in this seek-and-find game about, well, seeking and finding a game! Mom Hid My Game launches for both Nintendo Switch and the Nintendo 3DS family of systems later this year with exclusive stages. Mulaka from Lienzo: Battle mythical creatures, solve puzzles and undergo magical transformations in this lush action-adventure, inspired by northern Mexico and the indigenous Tarahumara culture. Mulaka launches on Nintendo Switch in 2018 with exclusive features and functionality. Yono and the Celestial Elephants from Neckbolt Games and Plug In Digital: Many adventure games have a distinct lack of elephants … but that’s all about to change. Yono is here, and he’s basically a one-elephant army that runs, opens chests with his trunk, head-butts bad guys, sprays water and throws explosives. You know, normal elephant stuff. Yono and the Celestial Elephant launches as a console exclusive on Nintendo Switch on Oct. 12. Morphies Law from Cosmoscope: A new trailer that debuted during the Nindies Showcase showed off the uniqueness of this upcoming shooter. Morphies Law launches as a console exclusive for Nintendo Switch this winter. Sausage Sports Club from Luckshot Games: Players looking for a physics-based sports game about adorable floppy-necked animals competing on a reality TV show are in luck. Sausage Sports Club features multiple game modes, arenas and playable characters. Plus, it can be played with up to eight players**! The multiplayer game launches first on Nintendo Switch this fall. Light Fingers from Numizmatic: One to four players** manipulate a magical clockwork board in this turn-based multiplayer game featuring real-time challenges, devious opportunities for misdirection and, of course, lots of loot! With procedurally generated boards, players will never play the same game twice. Light Fingers launches first on Nintendo Switch in early 2018. Nine Parchments from Frozenbyte: Everyone has heard of beat-’em-up games, but what about a blast-’em-up game? In this local and online* co-op game, up to four players battle strange creatures and mighty bosses while wielding an ever-changing arsenal of spells. Nine Parchments launches for Nintendo Switch this holiday season. *Nintendo Account required. Online services and features, including online gameplay, are free until the paid Nintendo Switch Online Service launches in 2018.